How to raise bees in the United Kingdom. Business minded people are always looking for other ways to making a living and ways to invest their money. 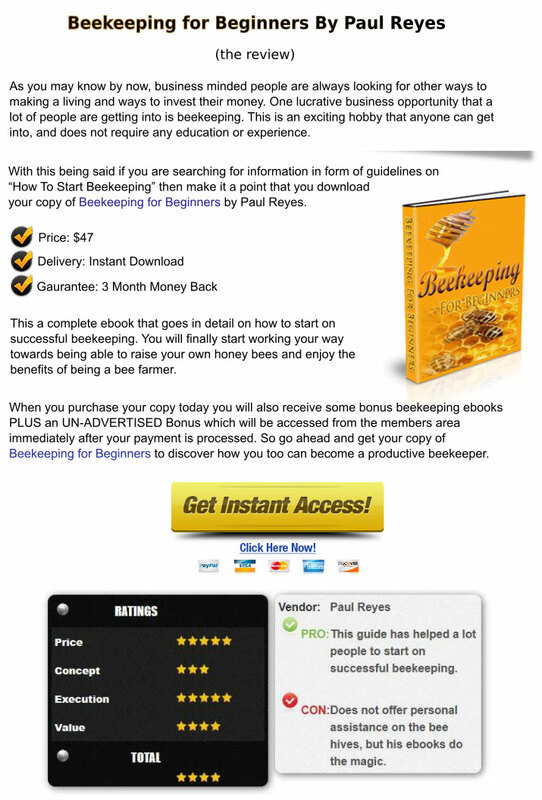 One lucrative business opportunity that of lot of people are getting into is beekeeping. This is an exciting hobby that anyone can get into and does not require any education or experience. Becoming a beekeeper has a lot of advantages, first you are helping in pollinating plants with your bees and your bees will be producing honey that is high in demand. The world is in need of beekeepers to help in producing honey so there’s space for anyone to come in this industry. To get started you just need some basics which are covered below. When getting started in beekeeping there are some supplies you will need. The first supplies are the bees and queens. These can be ordered from your local beekeepers store and come in different kits that are unassembled beginner kits or assembled beginner kits. The assembled kits are a full package that include frames, supers, hive bodies, top hive feeders and some with durable plastic helmets. Other supplies you should get are the hive tool, stainless steel smoker, leather groves and the monitoring tray. Just like supplies you also need some basic equipment for your new hobby. To protect your honey bees from extreme weather you will need to buy a telescoping outer cover which features a galvanized top that is durable. You should also get a hive wrap insulation that has holes to cover your hives in cold weathers. To raise your own debris-less pollen you should get a pollen trap which will help you harvest clean pollen from your hive. Another vital equipment you should buy is the queen excluders which are used just above the brood chamber to help in separating the queen from the worker bees. When starting out you can buy a plastic queen excluder and then when you want to add more hives you can then buy the metal queen excluder. To help you remove the bees from the super you will need a triangle escape board, just place it in between the brood chamber and supers. An escape board is useful because you will be able to empty your super faster since the bees that are leaving can’t come back in. Also get a bee brush to help you brush off the bees from the frame. The last equipment that you must have is the honey extractor which helps in extracting your honey from supers. Honey extractors come in two forms, one being a hand crank and the other which is ran by a motor. Which ever extractor you get make sure it doesn’t crush the bees and pollen. To help in the honey flow you can get an extractor heat tape that warms up the extractor. Once you get all these you will be on your way to producing your own honey and sell it for extra income. The more hives you have the more honey you will produce, but when starting out its good to start with two hives so you can get the hang of managing bees.